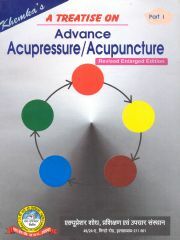 This is the first book of the 24-part epical Treatise series of books on acupressure/acupuncture written by the author. It is a basic book on various theories of acupressure/acupuncture which are essential to be known by an acupressure therapist. In fact, the whole essence of acupressure/acupuncture is contained in this book in the form of simply presented laws. The author explains the five element theory, five shu points, distal points, front shu points, back shu points, yuan source points, luo connecting points, xi cleft points, etc. in an easy to understand manner. The author also explains how to go about treating various simple diseases and has listed many useful treatment protocols. The fourteen main meridians and their points have been illustrated with the help of numerous charts. There are many other useful charts given in the book.